This year, transform your resolution into a lifestyle by starting now. Get a head start on the new year so you can begin 2017 as a happier and healthier version of yourself. Each year when January 1 rolls around weight related resolutions are set with good intentions. Unfortunately, after a few months pass, the vast majority of people will have given up on their goals. This year, transform your resolution into a lifestyle by starting now. Get a head start on the new year so you can begin 2017 as a happier and healthier version of yourself. In order to achieve a healthy lifestyle, you must set goals for yourself. So, before anything else, establish what your goal is. What would your resolution normally be? Is it to lose weight, get stronger or just lead a healthier life? Take that resolution and change it to a lifestyle by setting strategic goals. If you start on your path to a healthier lifestyle today, you can prevent the bad habits that some of us pick up over the holidays. 1. There's a saying, 'what you think about expands.' This couldn't be truer -- by thinking about managing weight, staying fit and healthy, or whatever goal you wish to accomplish you will quickly become more aware of what habits lead you towards your goal and what habits deter you. 2. Over the holiday season eliminate the extra calories. Forego things like sauces, dressings, second helpings and deserts. You can still enjoy your Christmas parties, have the meal you want or the glass of wine you crave but you will be able to reduce your daily caloric intake by at least 250 calories (on average) by cutting a few things out. Do simple things like if you want a glass of wine skip desert or vice versa. 3. Maintain an exercise routine throughout the season. Go for a walk outside with your family before dinner, shovel the driveway or attend an extra group fitness class that week. 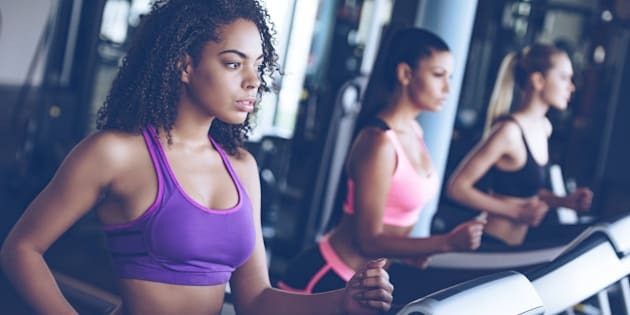 Exercise helps strengthen your will power -- as little as 15 minutes of aerobic activity reduces cravings, relives daily stress and is as powerful as an antidepressant. Given that there are so many temptations over the holiday season getting your exercise will benefit you in more ways than you think! 4. Involve your family in your goals. Whether it's simply sharing what you wish to achieve with them, relying on them for support or getting them involved further they will encourage you and cheer you on. You never know, maybe they will decide to create their own goals and hit the gym with you! 5. Create a vision board -- For those who are unfamiliar with what a vision board is, it's a poster with the images of everything you wish to attract into your life. Images of yourself and your friends and family, your ideal weight, a beautiful vacation destination or the healthy green shake you are going to have as a snack. You can put whatever you want on it that will help you envision what you want for yourself. Lifestyle changes can only occur when you are willing to adopt a new attitude. By practicing the above tips, you can change your attitude, mindset, and the relationship you have with food and your body. Start now and walk into 2017 a happier and healthier you.